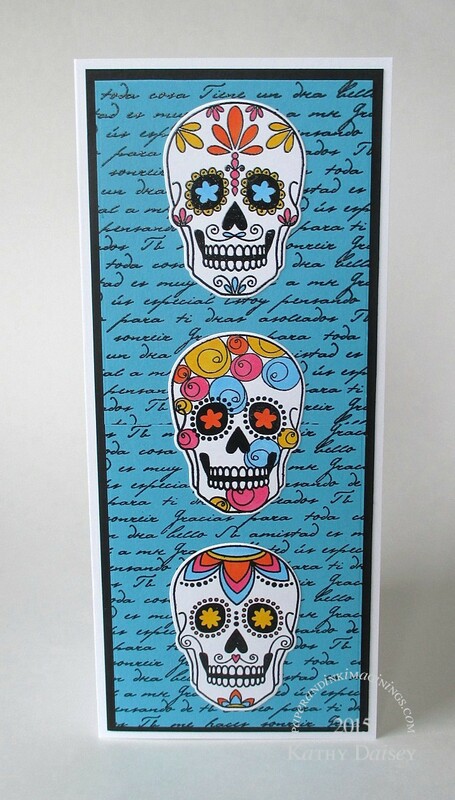 After seeing the Simon Says Stamp Sugar Skulls stamp set, Offspring3 requested a Dia de los Muertos card to send to the high school Spanish teacher. The last of the sugar skull cards for this year. Supplies: Stamps – Cornish Heritage Farms, Simon Says Stamp, paper – Neenah Classic Crest Solar White, Stampin’ Up! Basic Black, Tempting Turquoise, inks – Copic B02, RV14, Y18, YR68, VersaFine Onyx Black, die – Simon Says Stamp, embossing powder – Filigree Fine Art Powder clear. Categories: card, holiday | Tags: card, Copics, Cornish Heritage Farms, Neenah, Simon Says Stamp, Tsukineko, VersaFine | Permalink.